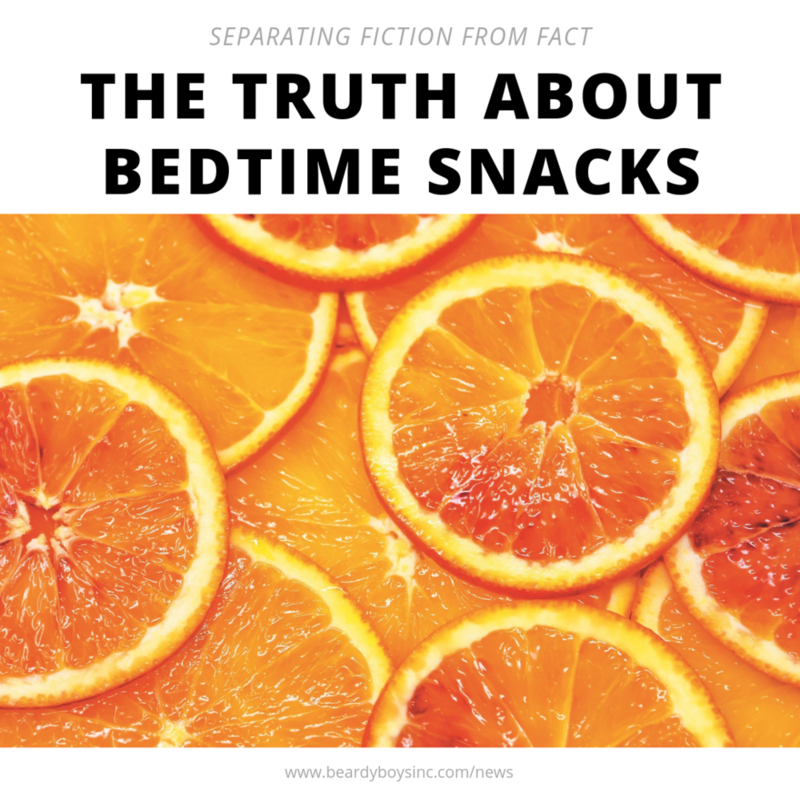 The Truth about Bedtime Snacks: Separating Fiction from Fact — Beardy Boys, Inc.
You’ve been told your whole life eating before bed is a big mistake. Cartoons warned it would give us bad dreams, lifestyle magazines threatened weight gain, and our moms worried about us having too much energy to fall asleep. Some foods were considered more dangerous than others. For most of us, the biggest perceived danger came from sugar. And not just ice cream or candy, but any kind of sugar, including fruit. But what does the science say? Is it a bad idea to eat anything, even fruit, before bed? The answer, as with most things, is that it really depends on a few different factors. Conventional wisdom suggests leaving three hours of time between your final meal and bed. However, there isn’t much evidence to support this idea. There’s a lot of vague claims about calories at night and metabolism, but they seem to rest upon the faulty notion that your body somehow stops working when you sleep. Lifestyle magazines and gym advertisements throw the word “metabolism” around as though it exclusively refers to how we burn calories for weight loss. But metabolic processes are everything going on inside us to keep the machine of our body functioning. In addition, “calorie” is often used like a bad word in the nutrition and dieting community. But a calorie is a measure of how much energy food can provide your body. You need (a lot of) calories to function, even when you are sleeping. Pumping blood, digesting food, and breathing all require calories, and you also do all of those things while sleeping. It’s commonly believed that our body processes slow down when we’re sleeping, and that we can’t digest food as well at night. The truth is, your body doesn’t have a clock to measure what time of day you eat. What your body can measure, however, is what you’re eating, and how much of it. Ultimately, your night time snack is part of your daily caloric intake. It doesn’t matter if you eat 200 calories at 4pm or 9pm provided you aren’t overeating and what you’re eating holds nutritional value. This is the true reason that snacking before bed can be risky. The key word there is “snack,” which many times is not a nutritious meal you planned in advance. We often get hungrier in the evening because we’ve burned through our calorie reserve during the day being active. And given the tendency of many to forgo full, balanced meals, the risk of pigging out on unhealthy food while unwinding in front of the TV or computer after dinner is real. Eating at night isn’t the weight gain culprit–eating so much food our bodies can’t use it efficiently is. And Healthy Things, like Fruit? It can feel overwhelming to keep track of, but maintaining a healthy weight has a lot to do with the kinds of food you eat. Your body needs protein, fat, and carbohydrates to function. Each of these categories serves a unique metabolic purpose. You feel fuller, longer. The fiber in fruit actually helps curb excessive late-night snacking. This is due in part to the way your body extracts nutrients during digestion. Your body functions optimize. Many mistakenly believe fruit makes your blood sugar spike, which will make you crash and feel crummy when you wake up. But fruit (unlike anything with refined sugar) has a low glycemic index, which means your body doesn’t experience any spike. Because you’re getting nutrients, your blood sugar becomes more stable, leaving you with more energy for other important body processes. You sleep better. Admittedly, some fruits are better for this than others. However, fruits generally increase your serotonin levels. Many also contain tryptophan, you know, that chemical in turkey that makes you sleepy after the big Thanksgiving dinner. 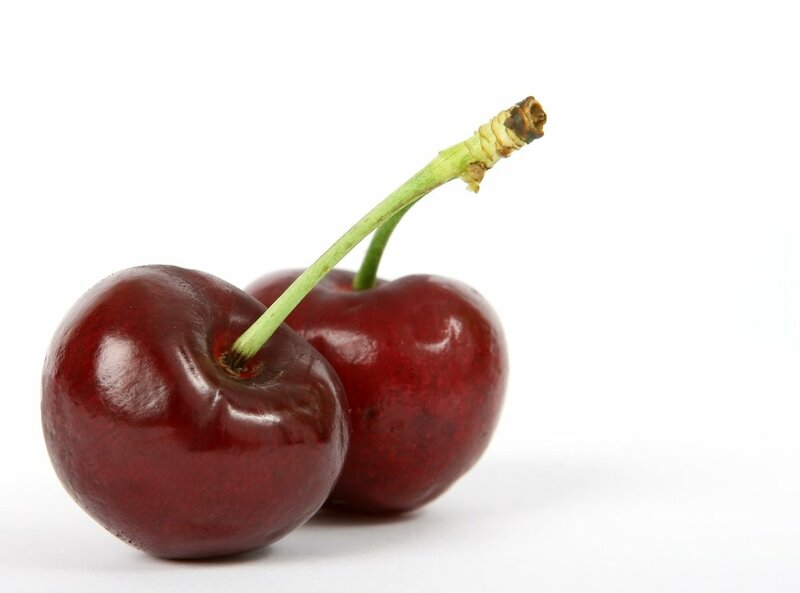 Some superstar fruits include bananas, packed with potassium and magnesium that relax your muscles; citrus fruits, whose vitamin C is crucial for deep sleep; and cherries, which are full of melatonin. One more exciting piece of news: popcorn can be good for you before bed! Popcorn is another complex carb, and eating a reasonable portion while you chill out before bed can increase your body’s serotonin production, helping you get a good night’s sleep. When snacking, also take into account any health conditions you may have. If you suffer from any form of Gastroesophageal reflux disease (GERD), eating late at night is probably a bad idea for you. A full stomach at bed time increases symptoms or discomfort because lying down with a full stomach increases the likelihood of acid splashing up into the throat. In addition, people with diabetes should be careful about eating anything that causes insulin levels to rise before bed. For diabetics, fruit eaten alone has a greater impact on blood sugar levels and should be considered with care. As always, be sure to consult with your doctor or dietitian before making choices about diet if you have a health condition. This blog is not written by a medical professional, and the contents are not intended to function as medical advice. Eating a snack before bed, especially a fruity one, is just fine. In fact, it could even help you lose weight in the long run by aiding in rest and preventing overeating. But the real key here is portions. One banana or an apple with almond butter is not the same as a whole bag of dried and sweetened mango or a giant bowl of buttered popcorn. A small snack to keep you from crashing and waking up hungry at 2 am is helpful, as long as you factor it into your daily caloric intake. Happy snacking! You know what they say: a spoonful of Beardy Boys before bed helps you fall asleep feeling healthy and happy. Seriously, try Beardy Boys out for yourself if you don’t believe us. No Meat, No Problem: Is Vegetarianism Healthy for You?